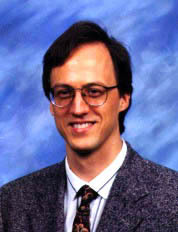 A mathematician and philosopher, William A. Dembski is Research Professor in Philosophy at Southwestern Baptist Theological Seminary in Ft. Worth. He is also a senior fellow with Discovery Institutes Center for Science and Culture in Seattle. Previously he was the Carl F. H. Henry Professor of Theology and Science at The Southern Baptist Theological Seminary in Louisville, where he founded its Center for Theology and Science. Before that he was Associate Research Professor in the Conceptual Foundations of Science at Baylor University, where he also headed the first intelligent design think-tank at a major research university: The Michael Polanyi Center. Dr. Dembski has taught at Northwestern University, the University of Notre Dame, and the University of Dallas. He has done postdoctoral work in mathematics at MIT, in physics at the University of Chicago, and in computer science at Princeton University. A graduate of the University of Illinois at Chicago where he earned a B.A. in psychology, an M.S. in statistics, and a Ph.D. in philosophy, he also received a doctorate in mathematics from the University of Chicago in 1988 and a master of divinity degree from Princeton Theological Seminary in 1996. He has held National Science Foundation graduate and postdoctoral fellowships. Dr. Dembski has published articles in mathematics, philosophy, and theology journals and is the author/editor of more than a dozen books. In The Design Inference: Eliminating Chance Through Small Probabilities (Cambridge University Press, 1998), he examines the design argument in a post-Darwinian context and analyzes the connections linking chance, probability, and intelligent causation. The sequel to The Design Inference appeared with Rowman & Littlefield in 2002 and critiques Darwinian and other naturalistic accounts of evolution. It is titled No Free Lunch: Why Specified Complexity Cannot Be Purchased without Intelligence. Dr. Dembski has edited several influential anthologies, including Uncommon Dissent: Intellectuals Who Find Darwinism Unconvincing (ISI, 2004) and Debating Design: From Darwin to DNA (Cambridge University Press, 2004, co-edited with Michael Ruse). His newest book, coauthored with Jonathan Wells, is titled The Design of Life: Discovering Signs of Intelligence in Biological Systems. As interest in intelligent design has grown in the wider culture, Dr. Dembski has assumed the role of public intellectual. In addition to lecturing around the world at colleges and universities, he is frequently interviewed on the radio and television. His work has been cited in numerous newspaper and magazine articles, including three front page stories in the New York Times as well as the August 15, 2005 Time magazine cover story on intelligent design. He has appeared on the BBC, NPR (Diane Rehm, etc. ), PBS (Inside the Law with Jack Ford; Uncommon Knowledge with Peter Robinson), CSPAN2, CNN, Fox News, ABC Nightline, and the Daily Show with Jon Stewart.